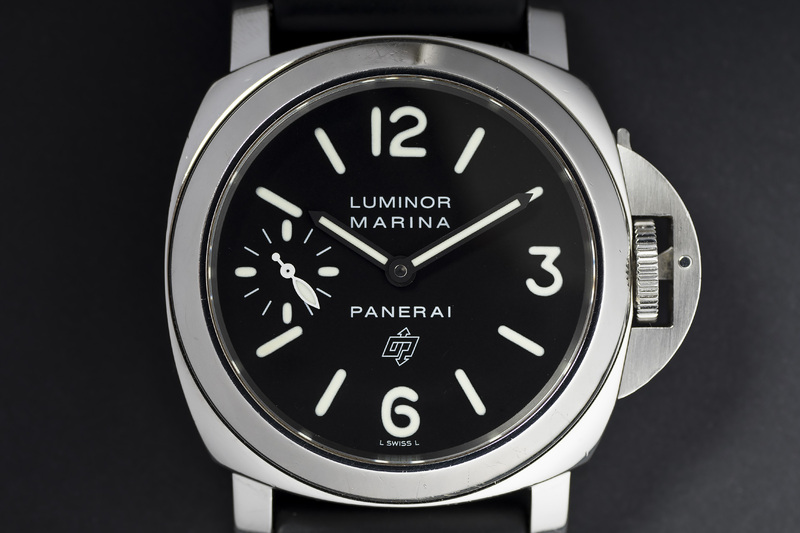 This masculine 44mm Panerai Luminor Marina is the classic Panerai style we love! 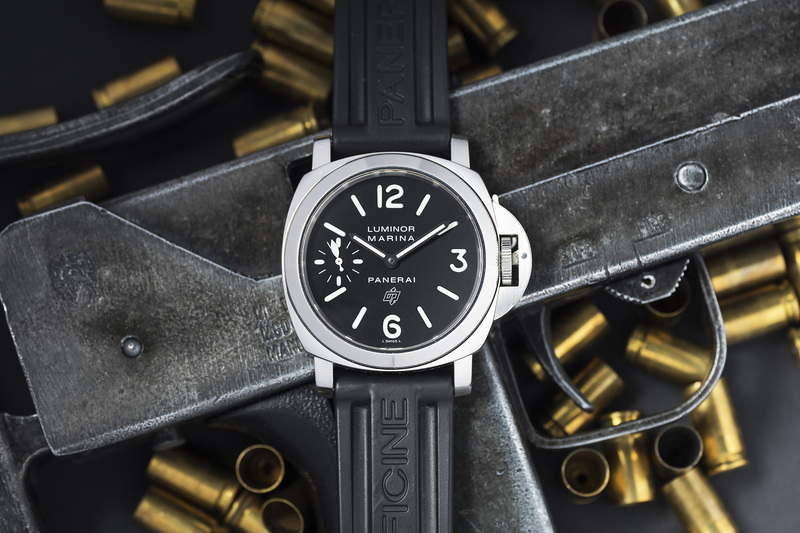 Its simple, strong and Iconic and with its robust crown guards and the vintage-inspired dial, the PAM 005 represents everything collectors love about these neo-vintage Panerai watches. The watch its most striking characteristic is the unusual and, at the same time, very functional mechanism for sealing the crown tube using a so-called protecting device. The lever inside the crown guard functions similarly to a harness lock on a beer bottle, pressing the crown tightly into the conical seal, ensuring almost unbounded water resistance! 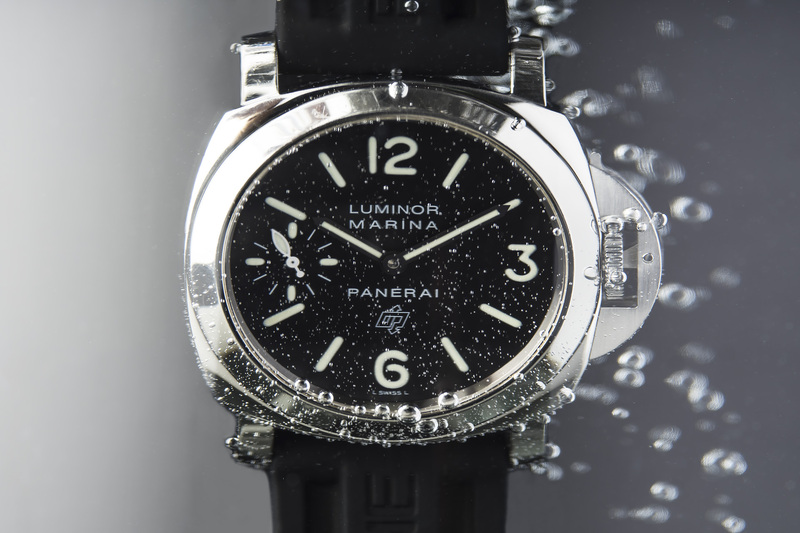 The deep black dial features Panerais bold military style numbers, and what a truly striking dial this is! 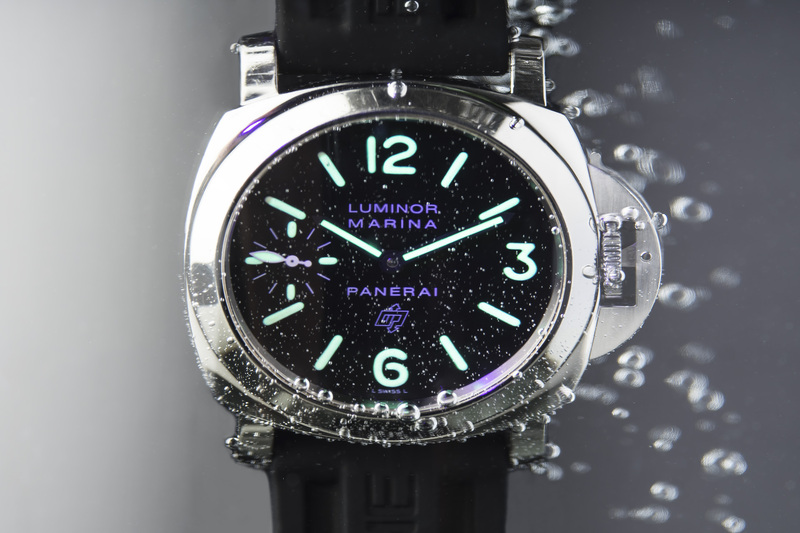 If you look up close you can see that the numerals have been cut out of the dial and are filled with Luminova, making the luminescent numerals submerge into the dial – a different take on the so-called sandwich dials Panerai is known for, really cool! The Pre-Vendome OP logo on the dial, is printed right above the six o’clock position. 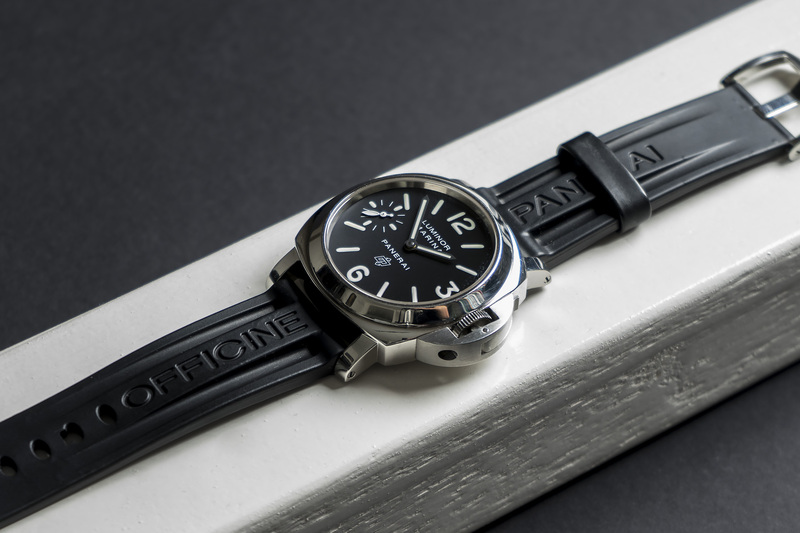 This logo which consists of the interlinked letters OP (Officine Panerai) features two arrows, one pointing up and the other pointing down. This refers to Panerais history with the Royal Italian NAVY. 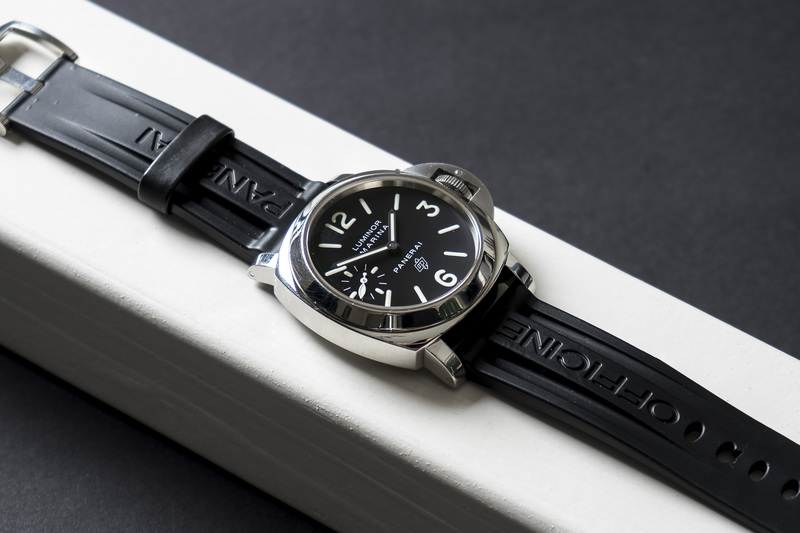 In the early years of the brand, Panerai made instruments not only for underwater operations but also for aviation purposes and this arrowed logo covers both. 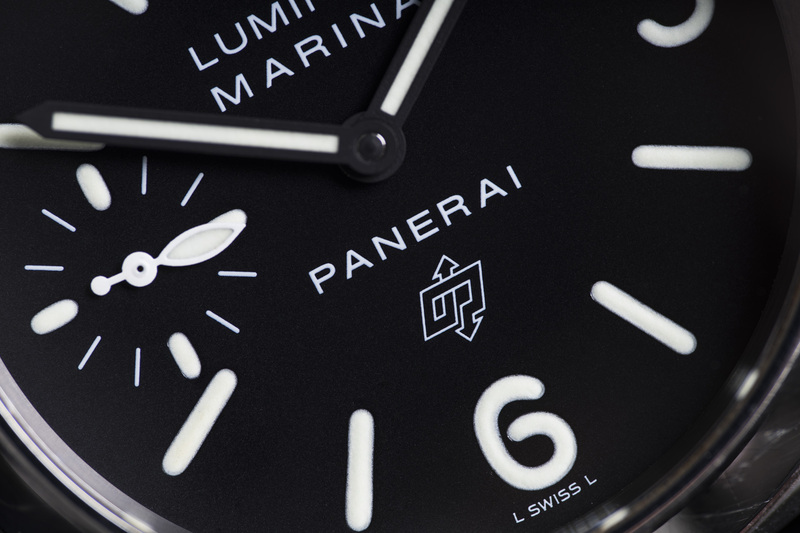 The PAM005 also features a small sub-dial with running seconds located at the nine o’clock position on the dial. 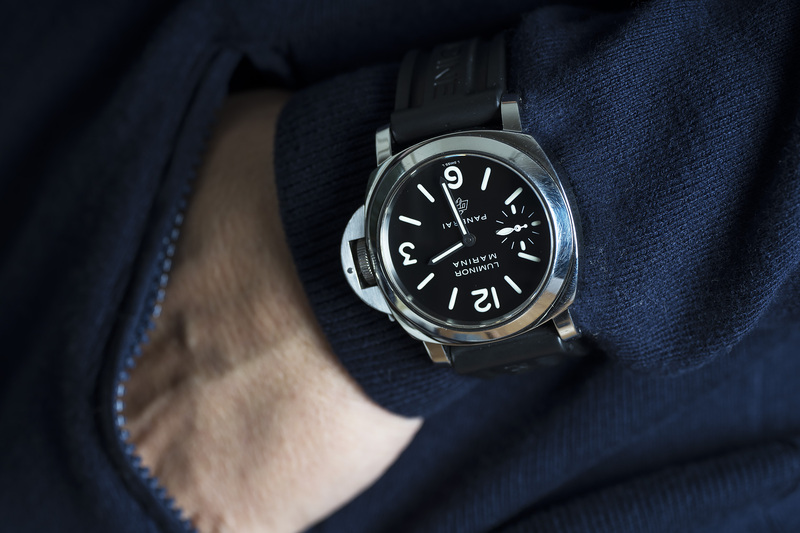 This Panerai is what we like to call a super full set, the watch comes directly from the first owner and features literally everything it was bought with back in 2004. 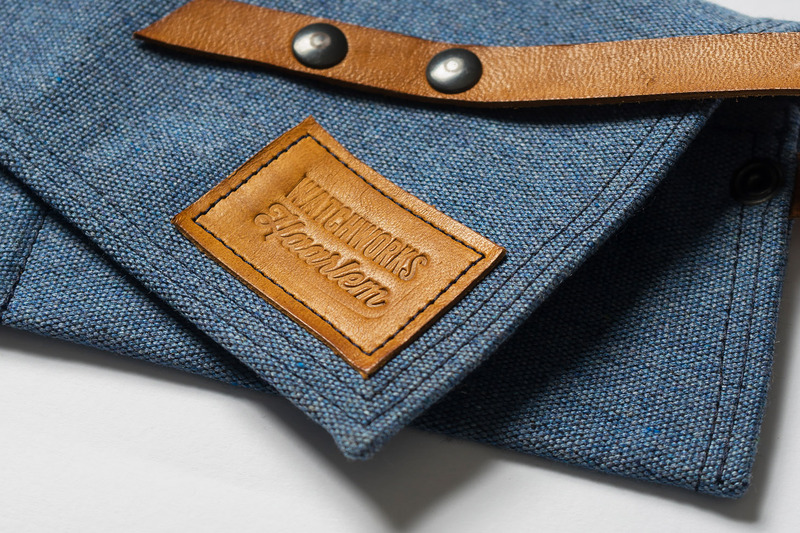 This 005 ‘s standard equipment is two straps; one OP rubber strap and one OP leather strap. 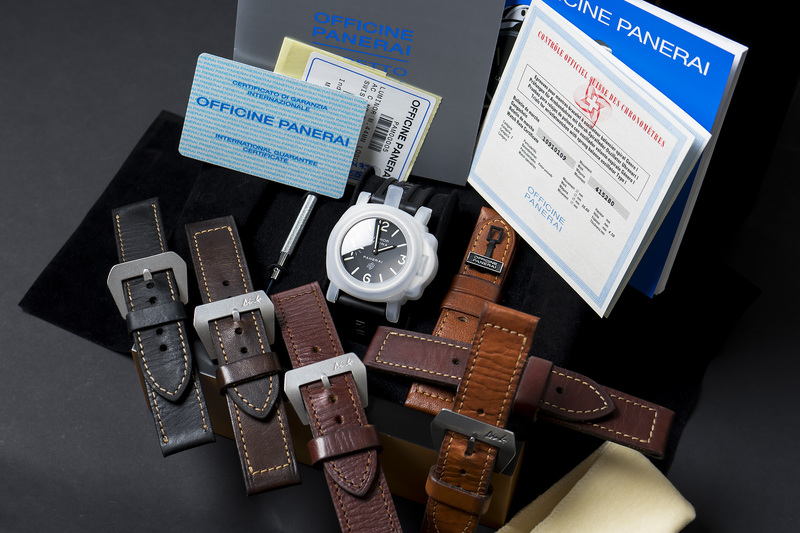 In addition to those two straps there are an extra five handmade ‘vintage’ straps all handmade in Italy and all with so-called Pre-Vendome buckles sewn into the bands. 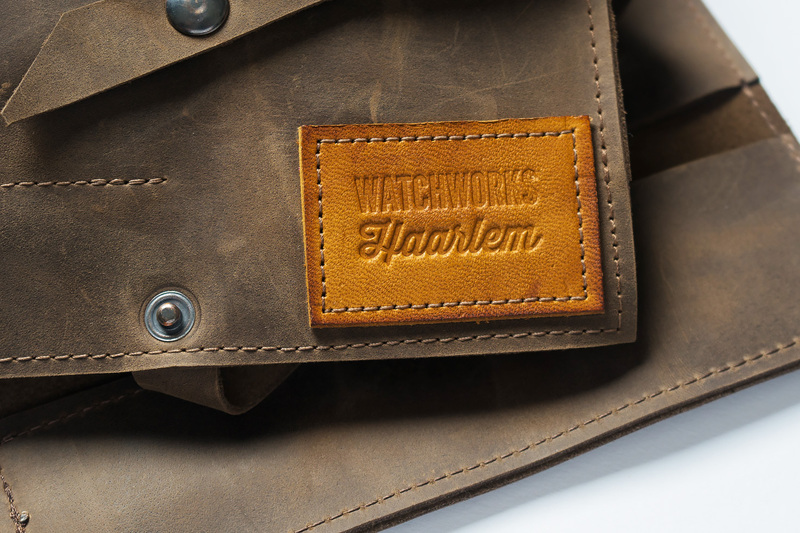 The leather straps are easily replaceable, thanks to the use of small screws that can be accessed via a small screw-driver delivered with the watch by Panerai. 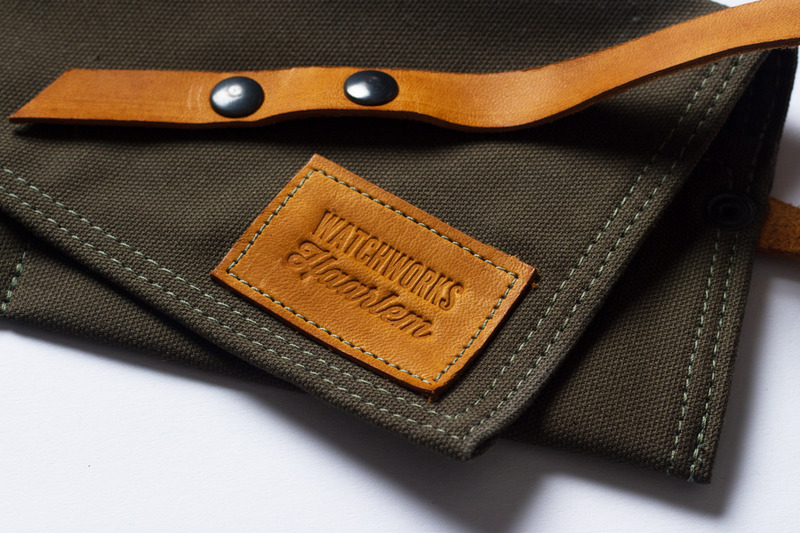 The watch and its hand-wound movement are serviced and running strong and are ready to take on new adventures! Who’s up! ?